Massachusetts Real Estate News: A Random Act of Kindness at the Supermarket! Yes, day 28 of the 30 day blogging challenge has crept up on us, and I was hitting the proverbial blogging wall. And then it hit me. A random act of kindness, in of all places, the supermarket! 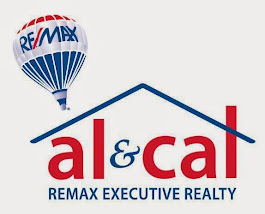 Remax Executive Realty established in 2009 a charitable foundation. It's mission is to help families in need in our market area in what ever way we can. The foundation has supported folks that were/are ill, to victims of fire, to local heroes who have encountered a physical hardship while fighting in the war, to helping build homes with Habitat for Humanity and more. This holiday season, the Remax Executive Charitable Foundation allotted a substantial amount of money to be donated to various food pantries in the communities that we serve. I was asked to help one of these out and do some shopping for them. I made contact, found out what they needed and headed off to the supermarket to pick up their items. This particular pantry needed a vast number of the same types of items. As you can imagine it fills up a cart rather quickly. Two even. I dutifully counted out the items and filled my carts. I had my handy dandy cell phone that doubles as a calculator with me. It all seemed to work out perfectly. Too perfectly. Exactly the number of items for this pantry matched up exactly (within pennies) of my donation amount. As I got my carriages to the register, the poor Bagger's eyes went wide. I emptied the items on to the conveyor. The cashier couldn't have been nicer as I asked her to make sure I didn't exceed the specified amount of money. As she gets to the end of the order, yes, you guessed it by now, I have not counted correctly. I am over budget and I have no other cash with me. No worries, I think. It's not a big deal, I will just take some of them off. In a thoughtful, quiet and simple act the lady in line behind me reaches into her wallet and slides the cashier the shortfall. "I like to support the food pantries too," she says. I guess now it's my turn to pay it forward. Literally, tears in my eyes. I love when something nice happens unexpectedly! Thanks for sharing.